Zen For Life | "Zen mind is our true nature." The term is derived from Zen Buddhism and concepts of transience, and it is particularly associated with the Japanese tea ceremony and it is often brushed onto scrolls which are hung in the tea room. In the context of tea ceremony, ichigo ichie reminds participants that each single tea meeting is unique that will never recur in one’s lifetime, therefore, each moment should be treated with the utmost sincerity. Can you pass the today’s opportunity to shine yourself if you know that it will not come back to you again? How many people do you think you can meet in your life time? When will be the next time you can meet again these people that you talked with today? If you think about it for a moment, don’t you think you rather grab the opportunity right away and talk to every people with the best intentions? Consider every meeting and encounter is the first and the last. You must teasure every encounter as it can be the last time in your life. Enjoy every encounter because it may not come to you again. There is no more opportunity but only this time. It is so valuable to share the time with the person because it only happens once in your life time. Today’s coffee talk, today’s date, and today’s dinner never comes back again. Try to spend the moment that you can think like… “Oh it was a great time.” “it was a wonderful meeting.” after the meeting with people. So, you can start having enriched moments of your life everyday and every moment. Categories: Spiritual Growth, zen phrase, Zen Quotes | Tags: love, relationships, zen phrase, zen quote, zen spiritual | Permalink. Spiritual growth in a world defined by power, money, and influence is a formidable task. Our concepts of self-worth and self-meaning are mixed-up. How can we strike a balance between the material and spiritual aspects of our lives? 1. To grow spiritually is to look inward. You need to examine and reflect on your thoughts, feelings, beliefs, and motivations. Periodically examining your experiences, the decisions you make, the relationships you have, and the things you engage in gives insight on your life goals, on the good traits you should uphold and the bad traits you have to abandon. 2. To grow spiritually is to develop your potentials. The needs of the body are recognized but placed under the needs of the spirit. Beliefs, values, morality, rules, experiences, and good works provide the outline to make sure the growth of the spiritual being continues. When you have fulfilled the basic physiological and emotional needs, spiritual or existential needs come next. 3. To grow spiritually is to seek meaning. Whether we think that life’s significance is pre-determined or self-directed, to grow in spirit is to understand that we do not simply exist. We do not know the meaning of our lives at birth; but we gain knowledge and wisdom from our connections with people and from our actions and reactions to the situations we are in. Our lives have purpose. This purpose puts all our physical, emotional, and intellectual potentials into use; sustains us during trying times; and gives us something to look forward to—a goal to achieve, a destination to reach. 4. To grow spiritually is to recognize interconnections. Recognizing your link to all things makes you more modest and respectful of people, animals, plants, and things in nature. It makes you value all around you. It moves you to go beyond your comfort zone and reach out to other people, and become stewards of all other things around you. If you want yourself to grow spiritually in steps, you can do this by simply following my book “A Collection of Simple Formulas To A Stress-Free and Happy Life”. The purpose of my program is to become stress free. But you gain more than what you think. You can grow spiritually by knowing about yourself, finding the purpose in life, practicing gratitude in life, and etc… It comes with exercise sheets that you can actually print out and do. If you are seriously looking for some spiritual growth in life, try my program to see yourself changing! Check my book here now! Categories: Motivation, Self Growth, Spiritual Growth | Tags: actions and reactions, intellectual potentials, knowledge and wisdom, spirituality, things in nature | Permalink. What do motivational thoughts do? They help you take action. This isn’t about positive thinking or motivating quotes. Those have their place in shaping your attitude and thinking. However, what motivates each of us is unique, so you need to have your own thoughts – those which are most effective at getting you going. This is a decent quote, and it may help you look at the positive side of a situation, but what if it just doesn’t get you excited? Then you need to apply a little brainpower to make the idea your own. You have to make it a truly motivational thought for YOU. Motivational thought of your own is the key. “Making it your own” means experimenting with a good thought until you find a way to use it in your own recipe for motivation. Learn your motivations. Experiment and get to know how your mind works. Here are a couple of examples that might help you get through difficult time. This is very good one that I often use and works. If you’re in a difficult situation and don’t feel like dealing with it. As you sit there, you play around with the idea of opportunity coming from difficulty. Now, imagine yourself being interviewed someday about how you overcame this difficult time and tuned the difficult situation to your advantage. This is how you create your own motivational thoughts. I find that beyond just thinking a thought, if I explain it to someone, I get excited. That is my own self-motivation recipe. When I feel unmotivated about writing, for example, all I explain an idea I have for some article to my partner or friend. By the time I am done, I’m very motivated to work. Explain someone what you are about to do. This works! You can get creative in your motivational experiments. Maybe thinking about being poor makes you get up and get to work. Maybe thinking about being sick and fat makes you get up and work out. The thoughts of situation that you do not want to see yourself to be in would make you motivated. If this work for you then imagine that. That is a great motivational thought. If visual thoughts are more motivating than mental conversations, then use those. See pictures in your head that get you going. Or actually look at the picture in your hand help you get going. Perhaps when people say you can’t do something, you do whatever it takes to prove them wrong. You may be related with something like this… This is a big turn-off for some people or turn-on for others. If this keeps you going, then it might be motivational to think about them saying you can’t. When there is a truly uninspiring task you have to do, try promising yourself a reward for completion – make it one that really means something to you. Keep that thought in your mind to keep yourself motivated. A trip to the beach and even a simple bowl of ice cream may be some of your more powerful motivational thoughts. Hope you find something that works for you. Keep doing that until achieving the things you want in life! Let me know how things work for you. Categories: Motivation, Self Growth, Spiritual Growth | Tags: albert einstein, mental-health, motivating quotes, motivational thoughts, self motivation | Permalink. Your health is one of the most important things that you have to take care of. Because of this, a lot of people are doing everything they can just to get the perfect balance of chemicals in their body in order to obtain perfect health. You also need to consider that a lot of people find it hard to relax and control their emotions. You have to remember that anger can contribute to poor health and this is the emotion that you should minimize bringing at as much as possible. It is important that you should never be angry if you don’t need to be angry in order to balance your spiritual self to promote good health and good healing. Today, a lot of people are not participating in different kinds of meditation in order to achieve balance in their emotions and also in their spirit. You have to consider that meditating can contribute a lot of great benefits for your body. With meditation, you will be able to relax more and you can effectively control your emotions and never be angry if you don’t need to be angry. So, if you are having problems controlling your emotions, problems in relaxing, or you simply want to experience oneness with yourself, you have to try chakra meditation. Chakra means spinning energy or spinning disk. This is the energy actually circulate around the spine. Chakra meditation is gaining popularity today because of the health benefits it gives. Not only that you will have better health, but you will also live a happier life with chakra meditation. It is very important that you should do the chakra meditation everyday for at least 30 minutes each day in order to achieve spiritual healing as well as emotional stability. Learning how to do chakra meditation is easy and everyone can do it. All you need is a quiet room where you won’t be disturbed for at least 30 minutes and a little bit of imagination and you’re off. First of all, you have to consider that there are seven major chakras found in your body. These chakras are considered to be a very important part of your body that needs to be balanced in order to promote good health. The seven chakras are Shasrara (crown), Ajna (between brows), Vishudda (throat), Anahata (heart), Manipura (navel), Svadisthana (sacral), and Muladhara (root). 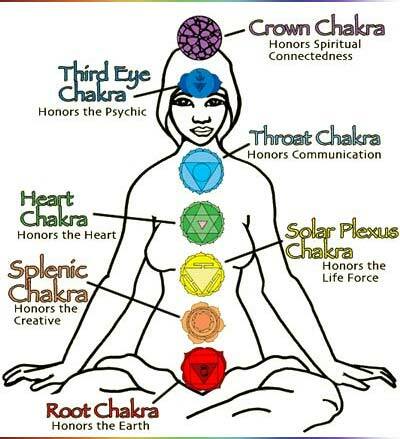 You have to know how to open up your seven chakras in order to promote spiritual balance and good physical health. To do this, you have to imagine a spinning light associated with each chakra. Start from Muladhara and work your way up to Shasrara. You also need to know what color of light is associated with each chakra. You should also remember that it will need the right breathing practices in order to successfully do chakra meditation. These are some of the things you have to know about chakra meditation. If you think you do not have time for chakra meditation, this is a good one for you. Few people have time for one hour, or even half-hour meditation session during the day. But, this can be worked into your day almost anytime, anywhere within 2 minutes! Hope you feel much better than before. Let me know how it worked for you. Categories: Healing, Meditation, Relaxation | Tags: health, mental-health, spirituality | Permalink. In Buddhism, anger is one of the three poisons – the other two are greed and ignorance – that are the primary causes of the cycle of samsara and rebirth. Purifying ourselves of anger is essential to Buddhist practice. Understanding what anger really is the first step to deal with your anger. Here is something about anger that you may not know. Learn to grow. 1. Anger is Something Created By Yourself. It’s important to understand that anger is something created by yourself. It didn’t come swooping out of the ether to infect you. We tend to think that anger is caused by something outside ourselves, such as other people or frustrating events. It is not very true. Buddhism teaches us that anger is created by mind. However, when you are dealing with your own anger, you should be more specific. Anger challenges us to look deeply into ourselves. Most of the time, anger is self-defensive. It arises from unresolved fears or when our ego-buttons are pushed. 3. Anger is not “REAL”. As Buddhists we recognize that ego, fear and anger are insubstantial and ephemeral, not “real.” They’re ghosts, in a sense. Allowing anger to control our actions amounts to being bossed around by ghosts. Anger is unpleasant but seductive. There’s something delicious about finding fault with something. Especially when our egos are involved (which is nearly always the case), we may protect our anger. We justify it and even feed it. 5. Express Your Anger Is Only Feeding The Seed Of Anger. When you express your anger you think that you are getting anger out of your system, but that’s not true. When you express your anger, either verbally or with physical violence, you are feeding the seed of anger, and it becomes stronger in you. Only understanding and compassion can neutralize anger. 6. Allowing Anger Control You Is The Weakness. Sometimes we confuse aggression with strength and non-action with weakness. Buddhism teaches that just the opposite is true. Giving in to the impulses of anger, allowing anger to hook us and jerk us around, is weakness. On the other hand, it takes strength to acknowledge the fear and selfishness in which our anger usually is rooted. It also takes discipline to meditate in the flames of anger. Did you learn something new about anger? Categories: Anger, Anger Management, Self Growth | Tags: anger control, buddhist practice, spirituality | Permalink. Adjustment is always needed since our environment constantly changes. Thus, it affects both the emotional and physical aspects of the person creating either negative or positive feelings. This can result to stress. Stress is a part of everyday lives since time immemorial. But if an influence is positive, stress can motivate a person to an action resulting to a new consciousness and a stimulating new perspective. But if the influence is negative, stress can create a feeling of rejection, distrust, depression, and anger. In return, health problems can be developed such as an upset stomach, headaches, insomnia, rashes, heart disease, stroke, ulcers, and high blood pressure. People can experience stress during a job promotion, new relationship, child birth, or death of a person close to them. Stress can hinder or help people depending on their reactions to the circumstances of life. It does not matter if all are positive stresses since it adds excitement and anticipation to life. But somehow competitions, deadlines, frustrations, sorrows, and confrontations also add enrichment and depth to life. You don’t need to get rid of stress. All you need to do is manage it in a way that it can give you benefits. To avoid stress build ups, you can try meditation. Besides it being cool to do, you can obtain an immediate calming effect regardless of your meditation posture. In this manner, you can reduce your stress. Practicing your breathing is the first process you should learn. If you observe that stress is starting to disturb you, just do a couple of light breathing. Concentrate on your breathing quality. Make sure that it’s light and still. Then slowly breathe deeper. The next step is to balance your posture and make it even, head up and back straight. Most people who are stressed out often do a slouching posture while frowning. Start to imagine that you are swimming in relaxing waves. Feel the flowing waves in your consciousness that is taking away all you stress and anxiety. Make sure your body receives the constant flow of the waves. Repeat this statement during your meditation process for at least ten minutes or more. Then take control of your stress totally. Think of the person who caused you such stress and made you out of control. Control your mind and remove the stress from it. Finally, concentrate on a decision that you have the right to a peaceful and free mind and nobody can say or do anything against this right, as you end the meditation process. Every time you need meditation, just dictate this decision to your mind. These steps can do something to change your outlook whenever stress disturbs you. Never be afraid to try, just believe on the benefits that it will give you in the end. Categories: Anger Management, Healing, Meditation, Relaxation | Tags: health, mental-health, negative stress, new consciousness, positive stress, return health | Permalink. Meditation has always been associated with solitude, tranquility, and physical inactivity. When one talks of meditation, you may usually come up with a scenario in which a person finds a secluded area, closes his eyes in silence, and rests his body while working his mind out. Does meditation always have to be like this? Meditation is an art. A method. A skill. A process. It is the art of keeping in touch with yourself, of discovering your entirety and the many facets of your being. It is also a skill that must be developed. It requires discipline and right mindset. You cannot simply think that you will meditate and expect to achieve a result right after. This requires the tuning of one’s consciousness. Meditation typically involves a set of procedures and guidelines to be followed. Typically, the success of the meditation will depend on the adherence to the given principles and rules. So, any kind of meditation would do the job as long as you follow the principles and rules. Here is maybe a new concept and style of meditation to you. One interesting form of meditation that deviates from the old and traditional concept is walking meditation. Walking meditation is a lot different from other forms of meditation known to many. For one, you will not have to be physically inactive just to do it. In fact, you need to move and be active – you need to walk! You have to actively engage your mind and your body in this activity in order to experience a holistic positive result. This brings another benefit. Since walking is a daily activity, you can actually grow by meditation everyday! You also will not have to find a secluded place just so you can meditate. Anywhere will do. Actually, a noisy and crowded place is even encouraged. Here is where the challenge lies. Here are 4 things that you can put in mind to gain full benefits of walking meditation. 1. No Clinging To Outer World. Concentration is important and awareness must be focused. You must not allow the outer world to bind your mind into it – by the things that you see, hear, or whatever you perceive. You may be aware of them, but you must guard not to do anything about them. Do not cling to anything. 2. Achieve A Balanced Awareness Between Your Inner Self and the Outer World. The guiding principle behind walking meditation is achieving a balanced awareness, equilibrium, between your inner self and the outer world surrounding you. 3. Feel the Entire Body While Noticing Your Emotion and Mood. This meditation will invite you to feel your entire body, all the workings of the parts that make you up, being aware how each of your body parts operates. While doing this, you also have to notice your emotion and your mood. These are all done while you walk. 4. Notice the Outside World Without Doing Anything At All. The outside world need not be lost in your focus. There will always be stuffs that will catch your attention as you meditate, and you are not to resist. You are not to hang on to these, though. You have to let them pass by, observing them without doing anything at all. This is the real sense of awareness. The ideal result of walking meditation is the person’s consciousness of the outside world while being completely aware of his inner self. When this is achieved, many of the puzzles and complexities of life will become clearer and simpler. Categories: Meditation | Tags: consciousness meditation, health, kind of meditation, mental-health, walking meditation | Permalink.